World news splutters from the radio. Plans for a wall have been approved. A Cuban commandant has died. The UK has left the European Union. Somebody is testing ballistic missiles. El Presidente twists the knob to silence, sighs, and picks up his iPhone. “Time to get back in the game…” he tweets. Stubbing out his cigar in an ashtray, the ageless dictator pulls on his peaked cap and heads for the balcony to deliver a speech. 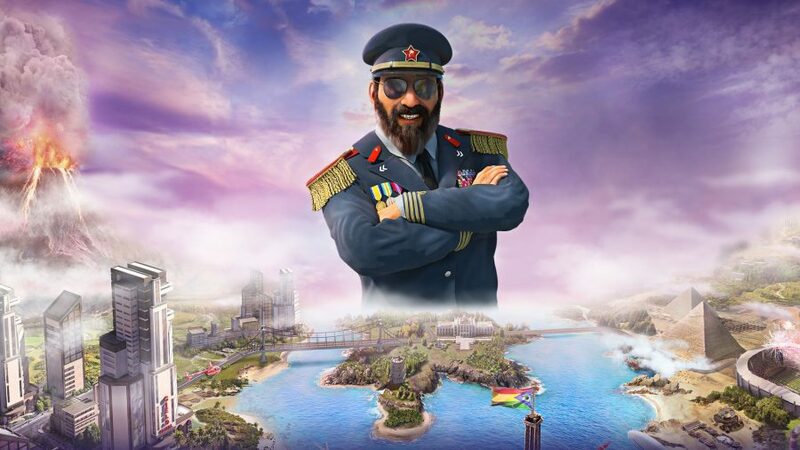 Tropico 6’s announcement trailer, which doubles as its opening cutscene, suggests that El Presidente belongs in our time of perpetual crisis, and the game attached to it halfway proves the point. It’s a simulator that teaches you to be wary of populists and political profiteers by placing you in the boots of one. 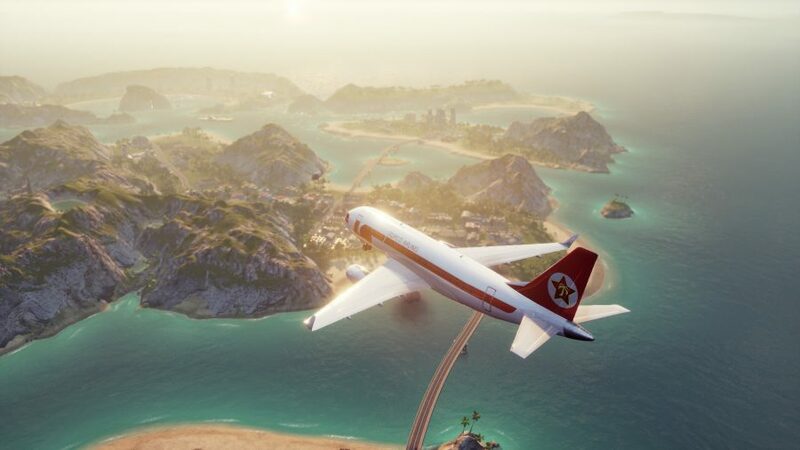 But Tropico’s Cuban missile nostalgia prevents it from saying anything truly new, and sees it stand still where other great powers in the management genre are racing ahead. You play as a symptom of a sick world: a leader using your people for financial gain, and in turn allowing yourself to be used by foreign nations, each looking to exploit your gold deposits or strategic placement in the Caribbean. The most visible part of the game is a city builder; imagine Cities: Skylines with palm trees. But in the background a political simulator runs, tracking your relationships with local factions, superpowers, and most importantly the people. It is they who have the ability to end your career in looming elections. That’s the fail state you’re constantly working to avoid: having power taken from you, either by vote or through the direct intervention of a meddling country you failed to appease. Moment-to-moment, you’re subject to the familiar rhythms of the management game. To make money, you need to sign trade deals for bananas or rum – less stereotypical exports are available, but don’t always pay so well. To make rum, you’ll need a distillery, which will run dry without a sugar plantation nearby – and the workers will have to live in shacks if you don’t build homes within commuting distance. What’s more, nobody wants to spend their days fermenting and bottling rum but never sampling it, and so your citizens will require taverns, too. Clinics are a necessity if you want your distillers to be well enough to go to work, and you may as well plonk a fire station next door while you’re there. There are a lot of fires in Tropico. The rum bottles act as magnifying glasses for the Caribbean sun, I guess. Soon enough you’ve got something resembling society. It’s this step-by-step growth that allows you to create a complex network of industries and services without thinking too hard about it. 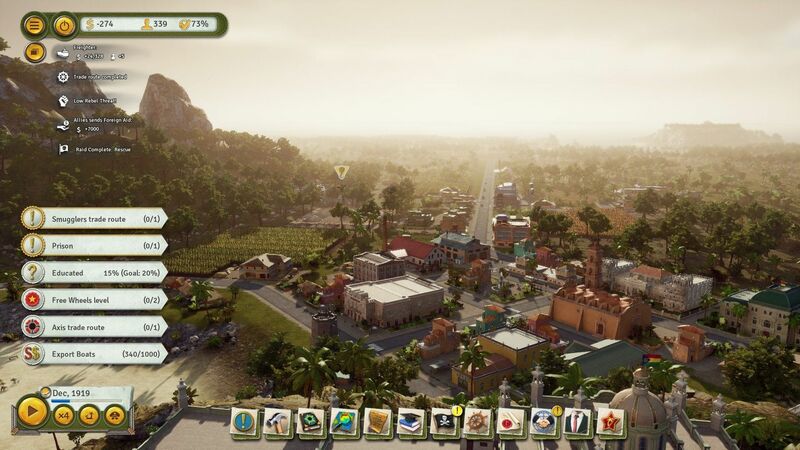 In fact, as in many other management games, there’s a certain serenity to building in Tropico, supported by the 16-beat shuffle of its soundtrack and visible heat haze. The Caribbean is a pleasant place to be a dictator in, for hours on end, and that’s a juxtaposition the series has long enjoyed playing with. It does so especially well in this sequel. There’s genuine fun to be had with the game’s cast of nagging advisors. I can’t decide who’s my favourite: the paranoid general who fears enemies to the right, insurgents to the left, and “pterodactyls above.” Or the revolutionary leader who solemnly asks herself “whether the ends justify being mean.” Outside your court, a cooly threatening Hugh Laurie-esque representative of the Crown complains about the spiders, and the fact that your islands are scarcely worth the cost of invasion. And later, a suave broker files the paperwork for a nuclear testing deal in the shredder, even as the shockwaves pass through your capital. 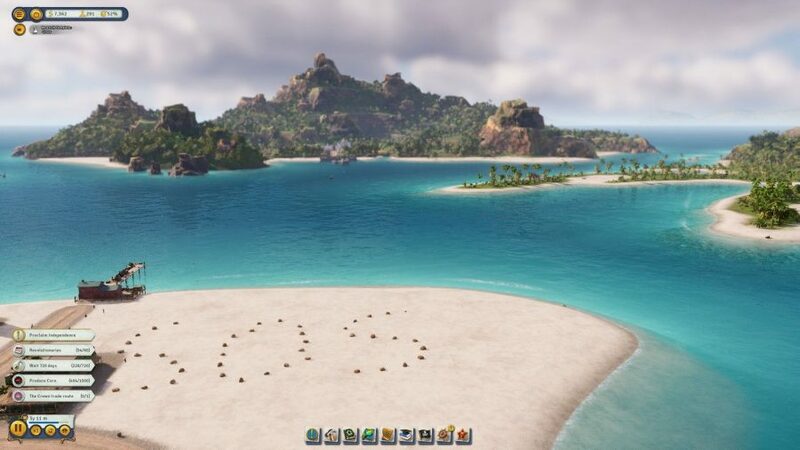 There’s a sense that Tropico is forever destined to be turned upside down and shaken for cash by some bigger nation, and the game treats its story as a tragicomedy. In an age of videogames that clumsily shy away from political statement, it’s heartening to see a developer attempt a tricky tone and get it right. If citizens can’t find anywhere to live near their place of work, they’ll construct shacks for themselves. 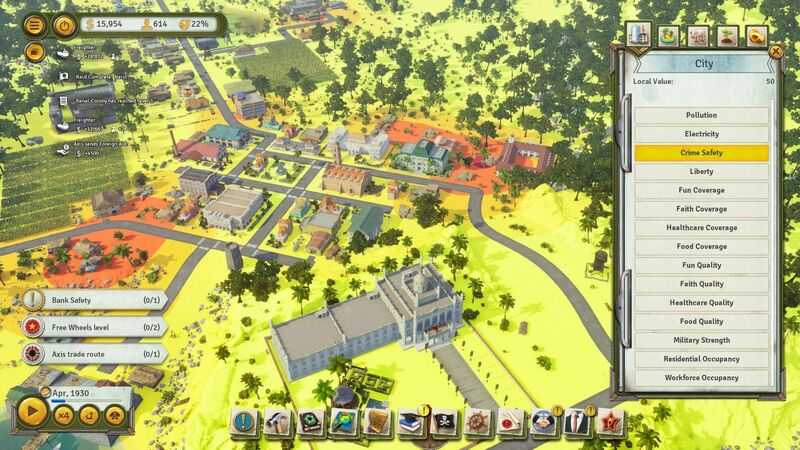 They’re a useful prompt to put down more housing, and a rare instance where Tropico 6 shows rather than tells. Too often you’re deep in the menus reading, rather than sweeping across the isles with your cursor. 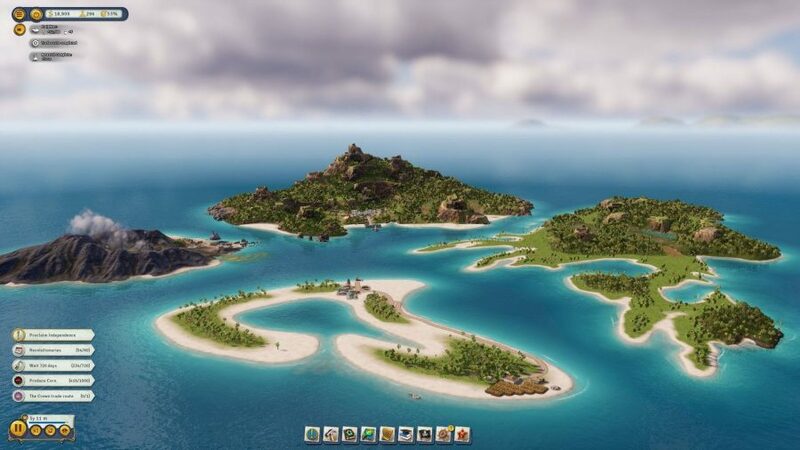 Unfortunately, it can feel as if you’re having all your next moves dictated to you by these voices – rather undermining your despotic rule in Tropico 6’s campaign. You do have the option to turn off the guide missions from your sycophantic aide and occasional pirate, Penultimo, which aim to highlight holes in your island strategy that you might have missed. And you can ignore optional tasks from factions, but face a drop in relations as a result. 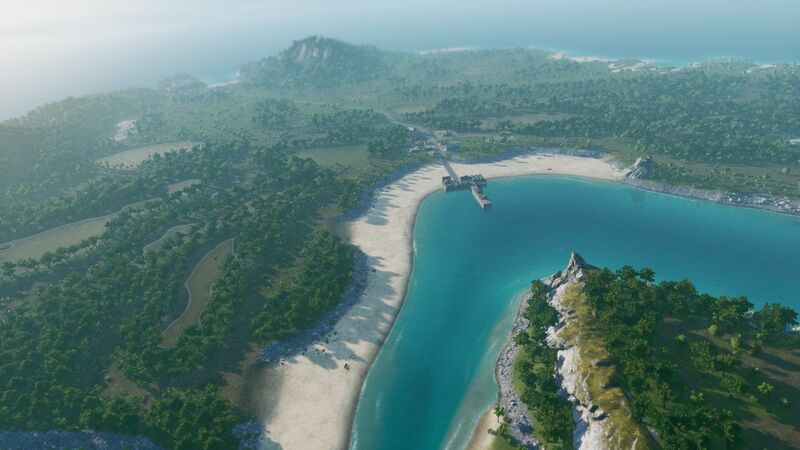 Really, Tropico is crying out for a mission system as dynamic as the one in Jurassic World Evolution, allowing you as much or little direction as you want. At worst, it can feel as if you’re following a series of instructions, rather than finding your own way to betray the citizens you’re representing. Real change could have been on offer here. 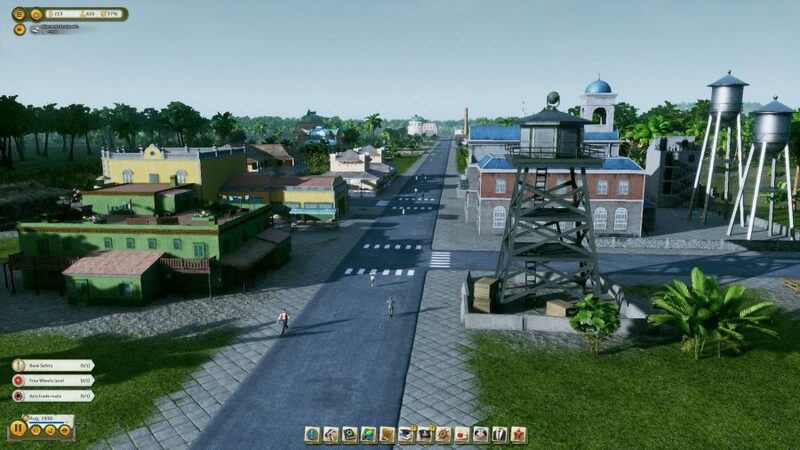 Tropico 6 finds the series in the hands of a new developer for the first time in a decade, after Haemimont Games graduated to Surviving Mars. But Might & Magic Heroes studio Limbic Entertainment’s few experiments with the formula aren’t particularly fruitful. Being able to expand across archipelagos is fun enough, especially when you get to build bridges – the sight of a car-less citizen walking several miles across the sea just to get to work is wonderfully emblematic of a failed state. But the theft of world wonders seen in the trailers proves far less satisfying. Raiding is a lengthy, hands-off process in which you leave your smugglers to build up raid points. Then, once they’re ready, you leave them again to fill up another progress bar. Once in a while they’ll sober up, and so you’ll need to deliver another truckload of rum to their cove. Often they’ll come across delays, which task you with waiting again, for a certain number of days, before the mission continues. Don’t get me wrong, the sight of the Brandenburg Gate being dropped by blimp onto a tropical island is an enjoyable one. But this headline feature could not be more background, and is exactly as thrilling as all that waiting around sounds. Once you oblige, the capitalists swoop, arguing for prison labour and a change in the law to make Tropico a penal colony. Soon enough, criminals are arriving by the boatload to fill the prisons, where their unpaid work produces coin for our coffers. It’s in these moments that it feels as if Tropico has a purpose and a lesson to rival that of its starkly memorable peer, Frostpunk. 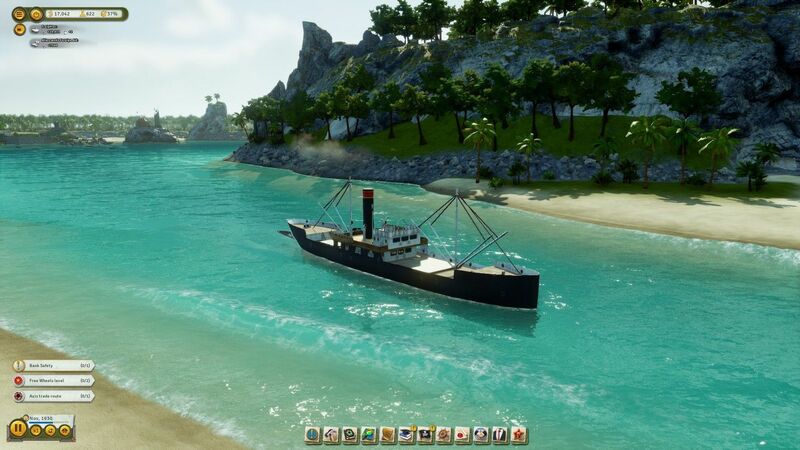 But it’s rare that the ideas in Tropico 6 feel dangerous, rather than the slow iteration of a series that’s already found a cool and comfortable spot in the shade of the management genre. Limbic has turned down its opportunity for revolución in favour of reinforcing the rule of El Presidente - a safe pair of hands for colourful city-building and wry commentary on the abuse of democracy.